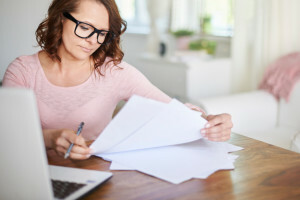 Real estate is relatively lightly regulated when it comes to the structure of contracts between landlords and the people they hire to manage their properties. While New York does impose a few restrictions on where security deposits and prepaid rents have to be held, landlords and property managers are generally free to structure the paying of property expenses and reimbursement procedures any way they like. That said, you do raise an important point: Few property managers will be eager to sign a contract that requires them to pay major expenses out of pocket, to be reimbursed (hopefully) by the landlord at some future date. That would essentially make them lenders, as well as property managers, and that’s not a position most want to be in! Both parties will agree on a scope of engagement. The landlord and the property management firm will decide between them what tasks to delegate to the management firm and what tasks the landlord will retain. The manager will look at the proposed scope of engagement and calculate the monthly and annual costs in labor, marketing and administrative expenses. Both parties will agree on a regular fee structure. This could be on the basis of total rent collected, or a flat rate per month, or any other way that seems equitable and logical to both parties. Both parties will project what routine maintenance and repairs will need to be done during the course of the year.The landlord will almost always pay the property manager the cost of repairs and supplies before the property manager will actually perform them. Usually this is an amount over and above the percentage of rent collected or other standard monthly fee. The landlord will fund an “escrow” with the property manager. This is “quick money” that the manager will have available to fund an unexpected, emergency repair. It will usually be held in a money market or short-term savings account, or a checking account. You can use the same account to fund routine repairs. Most property managers will ask for a minimum escrow as part of the agreement. As the account gets spent down, the landlord either replenishes the account, or the property manager may deduct the amount necessary to replenish the escrow from rent received before forwarding the rent to the landlord. Both parties will agree to a “notification threshold.” There are lots of possible names for this, but this threshold is the amount of money that the landlord is authorizing the manager to spend or commit to repairs, services or other items without having to call or email the landlord for approval. Items below this threshold can be done on the property manager’s authority, but they should provide the landlord with an accounting of every dollar spent from the reserve fund. If an emergency repair or other expense comes up that’s above the notification threshold, the property manager must first get the approval of the landlord to spend that money. The property manager will not generally spend money out of their own pocket without being funded by the landlord. Some managers may charge a percentage of repair costs – often 10 percent – to compensate them for the hours spent dealing with repairs, meeting with vendors, etc. Others don’t. If there is such a charge, landlords should monitor it carefully, since there’s a danger of a conflict of interest: The property manager has a monetary incentive to rack up as much in maintenance costs and repairs as they can. However, there is substantial time that goes into lining up vendors and getting bids and supervising work. This has to be paid for somehow. If it’s not added as a percentage, it will have to come out in the wash either in higher monthly fees or reduced services. In some cases, you have a gray area where the property manager can get approval on a pricey repair, contract with a vendor to fix it, and initiate a purchase order or invoice to be paid later. The landlord will have to provide the funds to the manager to pay the invoices. Net 30 (payment due within 30 days of the property manager’s receipt of invoice) is not unusual, but the sooner you can pay these vendors, the better service you’ll get! The manager will establish a paper trail to demonstrate that the landlord approved the project. For a larger project, such as a renovation, the landlord will almost invariably fund it, though the manager may provide day-to-day supervision of the work. The landlord should come up with a capital expenditure plan and provide enough funding in stages to execute the plan. This is, of course, over and above the monthly and annual routine repairs and maintenance. Pro-tip: Landlords might want to consider including a safe-harbor clause in their contracts with property managers, which gives them more flexibility to spend money to prevent further damage in the event of an emergency. You don’t want a burst pipe to cause tens of thousands of dollars in additional damage because your manager can’t get a hold of you to authorize the needed repairs immediately. There should be a meeting of the minds – documented on paper – to define the term “emergency,” but one proffered definition is an incident or condition This last point is critical: If a tenant is injured because your manager was too slow to make a repair, it’s probably going to be the landlord that gets sued for damages. Good property managers will also do their best to educate tenants about what they can do to mitigate damage as well.